PODCAST | Whistleblowers in Companies: An Ethical Practice? Javier Zamora is currently senior lecturer in the Department of Information Systems. He received his Ph.D. in Electrical Engineering from Columbia University, and his M.Sc. in Telecommunications Engineering from the Universitat Politècnica de Catalunya. 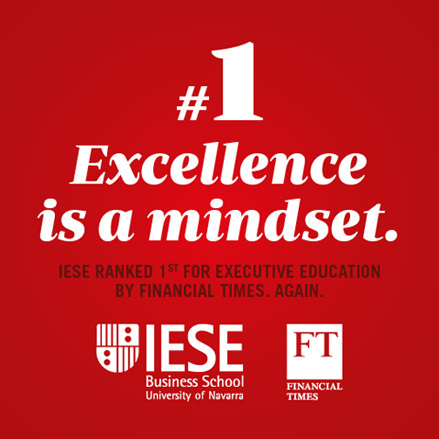 He holds also a PDG from IESE. Fantastic listen, thank you Javier! It is very exciting to see where this all going. Nothing is ever what it appears to be! I asked my second year MBA students, who come from 29 different countries, to reflect on the future of Europe after Brexit using scenarios laid out by the European Commission last year. While the world turns its back on diesel engines, German industry appears to be fighting back with a campaign on social media and new technical arguments but that may not be enough to turn the tide.